Today, we will be introducing a pachislot machine of “Gate: Jieitai Chi nite, Kaku Tatakaeri”, a Japanese fantasy novel which was made into anime and games due to its popularity. 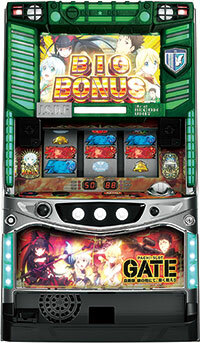 “GATE” pattern plays an important role for this machine that player wins a jackpot or a replay time by aligning 3 “GATE” patterns. During a jackpot round, player gets to enjoy the opening scenes and stories from its anime, but during a replay time, player gets to enjoy either the battle scenes of Itami, the protagonist of the series and soldier of Japan Self-Defense Force, or the spa scenes of the female characters such as Tuka, Lelei and Rory. It is well made that all fans of the “GATE” will be amazed! It will make its debut on February 19th!! 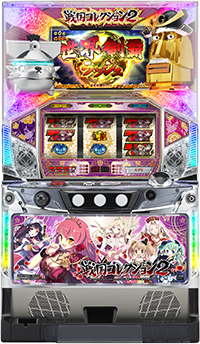 Today we will be introducing a pachinko machine of “Majestic Prince”, which we have introduced its pachislot version before. 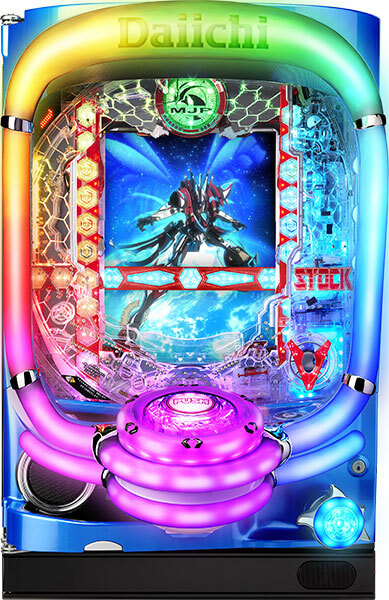 Remarkable aspects of this pachinko machine are its new chassis and jackpot system. On its newly made chassis, it is loaded with high-resolution speaker, biggest double monitors in the industry, multi-functional push buttons, and lamps that surrounds the whole chassis. These will give players all sorts of impacts for sure!! Although its jackpot round is limited to 2 minutes, the key here is how many times you can hit the jackpot and players can collect their winnings after the time is up. Players can experience the winning they have never experienced before. It is expected to make its debut on April 18th!! 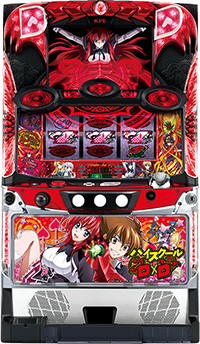 Today, we will be introducing a pachislot machine of “IS (Infinite Stratos)”. Its original work is a light novel series written by Izuru Yumizuru. It is a school battle/love comedy between five heroines and Ichika, the only man who can operate the “Infinite Stratos”, a powered exoskeleton that can only be operated by women. 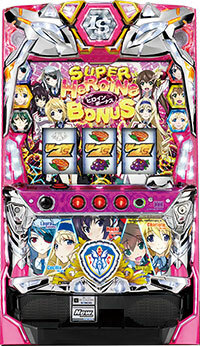 Being the first pachislot machine of the series, its main feature is customization of heroines. Player gets to customize heroines at various points in the game, and the renditions change according to the heroine player chooses. Changing costumes and being able to choose voice patterns, as well as image songs, this is a must play for all fans. It has already made its debut to the parlor near you!! 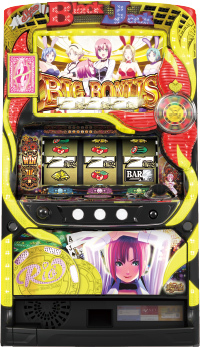 “Super Black Jack”, a pachislot machine that has created the foundation of pachislot industry by the gaming nature and a beautiful girl character called “Rio”, has been revived for the first time in 12 years!! 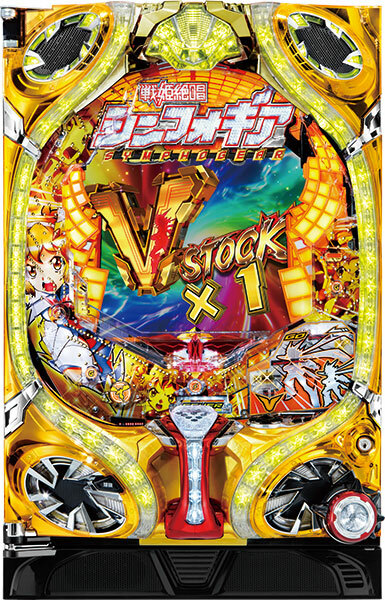 This machine recreates the continuous jackpot system called “stock time”, but it also has evolved system of jackpot by the outcome of the reel, unique to a pachislot machine. Needless to say, gorgeous voice actors such as Marina Inoue, Ayana Taketatsu and Chiaki Takahashi are used for this machine!! 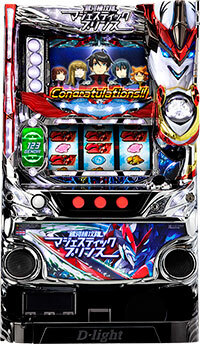 All fans of “Super Black Jack” should agree on the quality of this machine. It has just made its debut to the parlor!! Enjoy a casino tour with “Rio”!! Today, we will be introducing a pachislot machine of a light novel “High School DxD”, which its 3rd anime series have been aired this year. The main character gets killed by a fallen angel, and reincarnates into a devil. And as a devil, he leads a school life with the heroine. 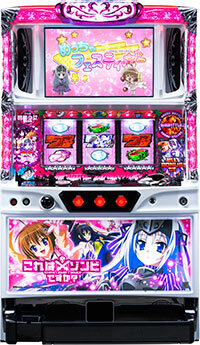 This machine is called “School Love Comedy Battle Fantasy”, that it incorporates various elements!! Sexiness is incorporated into this pachislot machine as well. Players must pay attention to the “Illumination Panel”, which the magic squares appear in both monitor and reel. Today, we will be introducing a pachislot machine of a mecha anime, “Majestic Prince”. This manga has won a Mecha Design Award in 2013, that its robots are quite appealing. What you should pay attention to is the fighting scene of robots, as well as renditions unique to each of the 5 pilots. Player gets to choose the pilot out of the 5 characters during “HERO RUSH”, which is the key to win more medals, and the rendition differs according to the character player chooses!! It will give the player 120% of satisfaction and never bores the player. It is expected to make its debut from D-light on November 2015!! Sengoku Collection won a social game award along with Idol Master. Today, we will be introducing Sengoku Collection 2, which became the second pachislot machine of the series due to the popularity of not only in games but also in TV animations, manga, and internet radio. Female version of characters such as Oda Nobunaga, Tokugawa Ieyasu and Uesugi Kenshin who played an active role in TV animation make appearances and quality of accessories are even more powerful than ever. Game and anime fans will sure to be satisfied!Let’s conquer the world with cute feudal lords! With expectations rising, Sengoku Collection 2 will be released on Spring 2015 from KPE!